Can you tell us a bit about this brand-new series of Ben 10? 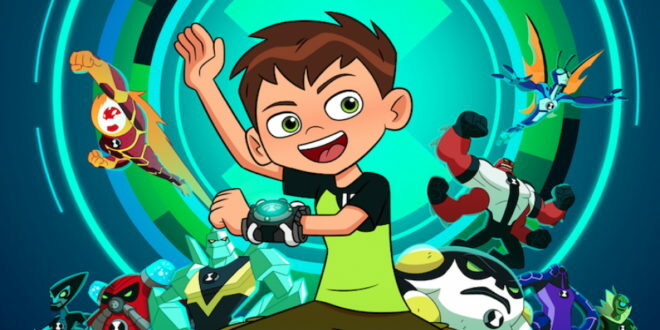 Ben is 10 years old and can turn into 10 different aliens via the Omnitrix – a mysterious watch-like device he found while on summer vacation with his cousin Gwen and Grandpa Max. If that sounds familiar, it’s because it’s the same set-up we had for the very first Ben 10 stories. So that part is familiar. What’s not familiar is that these new Ben 10 episodes are 11 minutes long instead of 22. So viewers will get two episodes per half hour. But the stories are still very much Ben 10 stories – we juiced up the pacing, but we haven’t gone and done a complete tone or style change with the new show. The art is also fresh. Under the direction of John Fang – who we also worked with in another show we created, Generator Rex, Ben 10 will have a new look for Ben, the family, and the aliens. We’ve got some returning bad guys we all know and (don’t!) love and some all-new threats as well. 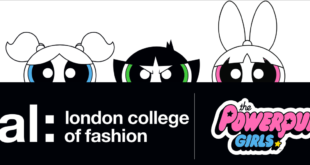 The first ever series premiered on Cartoon Network in December 2005. How have you managed to keep Ben relevant more than10 years later? The main reason Ben 10 has stayed relevant is that the core theme of the show really resonates with kids (and even some adults!). We all think we could use a little more power to get through life’s rough spots, but the truth is all we really need to do is better use the power we have. There’s also a huge fun factor. “I can dial a watch and turn into any one of 10 weird aliens with wild powers?” Yes, please. And the last factor that’s kept it going is having great teams of amazing people running the show – including the much-missed Dwayne McDuffie. Where did the original idea for Ben 10 come from? What inspired the characters and story? Robot Chicken co-creator Matt Senreich came up to the four of us Man of Action guys at the San Diego Comic-Con International and told us that Cartoon Network was looking for a super-hero action show and that we should pitch them concepts. Man of Action went off to our office and made up 20 different takes on shows over the next three weeks. We then went in to Sam Register and Tramm Wigzell (who is still our network chief today) and pitched them 20 ideas in 20 minutes – one new idea every 60 sixty seconds. Within the first 10 minutes they’d already stopped us and bought Ben 10. As far as inspiration? We were all that kid who wished he could be a super-hero. A couple of us still are! But we just thought while it would be great to turn in to one hero, it would be even better to be able to turn into 10. What makes Ben 10 unique? Ben is a 10 year old with enormous powers at his fingertips. Most of the classic superheroes of the past are adults, a few are teenagers, but Ben is a kid. And in this new version of the show, we’ve really committed to having that 10 year old brain front-and-center, even when he’s in alien form. It makes the decision-making process and his fight skills come from a very different mindset than other superheroes. How do you keep Ben 10 relevant for viewers across the globe and relatable to boys and girls? We don’t write down to kids, but we do try to make stories that are relevant to the kinds of things kids think about and talk about and are interested in. We love our lifelong fans – they are the best – but if we don’t make a show that speaks to new and young viewers, we won’t keep building new fans. Which elements of the new show do you think fans will love the most? Our lifer fans will like that this new show is still very much Ben 10 – the elements that we’ve all known and loved for so many years are still here: Ben, Gwen, Max, 10 aliens, the Rust Bucket, and an endless summer vacation that seems to keep crossing paths with Big Bad Villains. We have a mix of classic voice actors – like Tara back as Ben. New fans are going to like that the show is super fun, moves at a brisk pace, and is easy to jump into – everything you need to know happens in the episodes. What does the future hold for Ben 10? Right now the future is that everything is just beginning. People should experience the new episodes and the look and feel of the world and then we can talk about what’s next. And by the way – there is a lot of cool stuff ahead. Everyone at Cartoon Network is having a blast and loving this show. It’s new and fresh, yeah, but it’s still 100 per cent Ben 10. 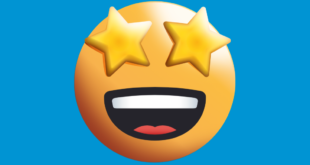 We all love it and hope you will too.